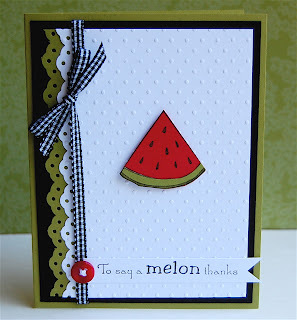 With Labor Day right around the corner, I decided to use this sweet watermelon stamp today. My inspiration for colors and embellishments came from picnics and bbq's, which I'm sure many of you will be attending this coming weekend! Wouldn't this make a nice thank you card for your host or hostess? This is a very clean and simple design. I really wanted the watermelon to take center stage. Instead of coloring the image, I paper pieced it. 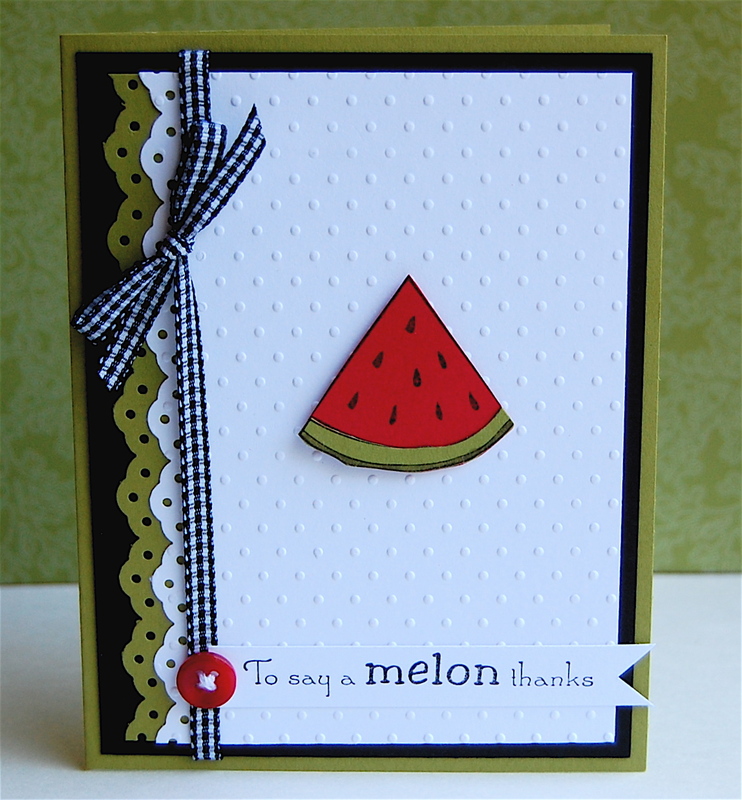 To do this, I first stamped the watermelon on red cardstock and then again on olive cardstock, I trimmed both and then pieced them together. To give it an even more realistic look, I colored the smallest part of the rind with a dark green marker. Well, I wouldn’t mind waiting a couple of months or so to tell the truth… but it was fun to bring out the wintery products again! I love Holliday papers!!! I stamped the snowman from the Baby it’s cod outside set twice. First on the background paper then on white cardstock. I mounted it with some 3d foam and added the sentiment piece on top. Done. Really simple card, but I love the fun happy look of the snowman! Wow are you all in for a huge treat. New stamps from The Rubber Cafe are coming down the pike and boy are you going to be in LOVE!!! Today I am using two new stamps and I am sorry they have not posted yet to the website so I cant link you or even give their names but the first set is full of fruity sweetness. Great berry images and sentiments. Today I used the Strawberry image for my background and then for my two corner berries. 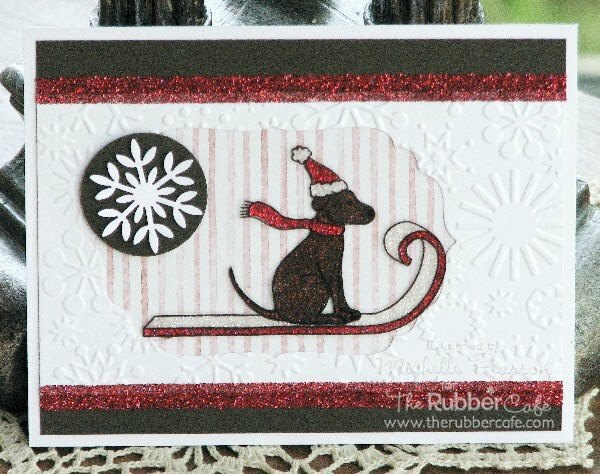 The other stamp I used was a new border stamp that is around my sentiment stamped in red. I colored my berries with my copics, cut them out and popped them up on some dimensionals. 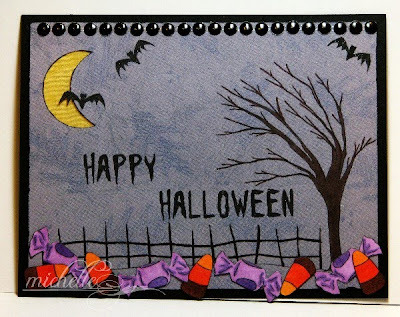 All paper used are scraps of October Afternoon and I finished things off with a handmade (not by me!!) crocheted flower and paper prima. Keep checking back daily for new release updates and thanks so much for stopping by today!!! It's a very late Tuesday here and I know...in some places...it's now Wednesday. I was having a sort of lazy day...thinking for some reason it was Monday and I had all day to work on the post for tomorrow...as it turns out...I didn't. I'm a little late. I wanted to share an email I received from one of the newest design team members. She used one of the cards from her challenges here to enter another challenge. 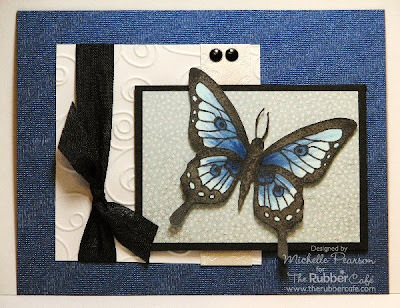 Kristine made the top six for her entry to card patterns. You can find the post here. Melissa and I have been doing a bit of traveling with The Rubber Cafe to a few scrapbook conventions. For those of you who came to hang out with us and say HI...thank you. Our customers are really wonderful and we are so gratefull for you all. While at the show I did a lot of demoing and I was always getting asked "ok...cool...now what do you do with it?" So I wanted to show you all a fun way to decorate this really easy card. Starting off with 2 sheets of cardstock 5 1/2 x 4 1/4, score one piece at the gatefold and half fold and then turn the card around and score the gate fold again. Fold accordian style. Score the second piece at the half only. I used a few stamps here...Baby it's cold outside, It's a blizzard outside, and Magical Ball for the mini snowman. I added a snowflake cuttlebug background a little ribbon and I'm good to go. The mini snowman dangles from the pop out piece. I used dental floss for the string. If you have any questions don't forget to leave a comment in the designated section. Have a great week and Happy Stamping. Today I pulled out one of my favorite cutie stamps from The Rubber Cafe called Hooked on You. 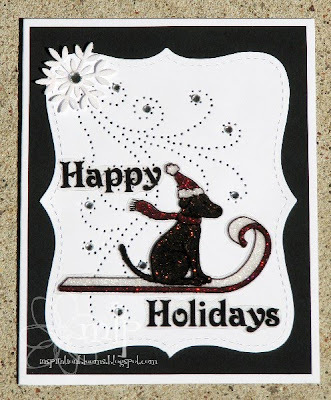 Stamped this little guy in memento tuxedo black and colored with copics. I pulled out some scrap Cosmo Cricket Paper from my desk and created alittle grid for my focal panel and embellished with a ton of silver brads. Then for today, I felt that my sentiment would not fit on the front of my card so I finished off the inside and stamped my sentiment in there. Cute right?? I am happy with the way this turned out. Off to go enjoy lunch with hubby. Have a great day!! I was over on another site yesterday...splitcoaststampers.com. Every monday they have really great challenges. Actually...they have really great challenges all week long...but I think Monday is my favorite. The two they have are a technique lovers challenge and a clean and simple (CAS) challenge. I decided to do one card that fit both. The cas challenge had this sketch and the technique challenge was to use ribbon any way but a bow or a knot. I think I did ok here. I decided to add one other element...an acetate card. Acetate is so hard to score, but one of the tools on the Ultimate has a nice straight edge that works perfect on acetate. I used Grandma's Doilies on the outside and Thank You 3 on the inside. I think I'm going to send this to my son and his grandma...she's taking such great care of him while he's away at college. A 'Thank You' card is the least I can do. Thanks for stopping by. I hope you enjoy your week and go check out all the challenges they have over at Splitcoast. We are so excited for this week-end ... Stamping Details is participating for the SoCal shop hop again. This year the themes are related to movies .. So I designed a shaker card with our new stamp set for Stamping Details called "Fishing for Details" The set is designed around their movie theme Finding Nemo. 858-513-8024 Call of you need Help ? Can't wait to SEA you ! Today I imagine beautiful flowers, fun colors and a pretty bow. What do you imagine? I wanted to share our last couple of weeks with you all. We've been to one side of the country (Valley Forge, PA) and back again (San Jose, CA). We've met great customers and had so much fun. We even played a little on the boardwalk of Atlantic City, NJ. Somebody had a camera...but it wasn't me. As soon as I get those incriminating photographs...I'll post them. Our next adventure is in St. Charles, IL...just outside of Chicago. I can't wait...I think we're borrowing Frank and dressing him up again. Check back for more details later (I'll be sure to bring the camera to Chicago). In the meantime...I wanted to share a fun card I made using the Ultimate from Crafters Companion. You may have noticed...and it's alright if you didn't...I've been using the Ultimate a lot these last few weeks. If you manage to get to one of our shows...be sure to stop by for a demo. It's great for card makers and scrap bookers alike. It's fabulous for boxes too. My favorite part is the bow maker. It really makes the bows easy. The easel card comes together very easily with this fun tool as well. I started with a piece of cardstock 4 1/4" x 11" and scored at the gatefold us letter and half us letter. I folded the score lines, each in the same direction. This will be the front of your card. I layered a piece of cardstock 4 1/4" x 5 1/2" on the front of the card, making sure to add adhesive to the bottom only, otherwise it will just be a card with a fold. This will create your easel. I added layers and stamped the Grated Floral and Imagine, popping them up. The inside needs to be popped or something dimensional added to keep the easel in place. I hope this all makes sense. Thanks for stopping by and Have a great week. It was a hot one here today.....so thinking of snowflakes is a good thing!! This is a fun card I did using the Glitter and Acetate Technique. I stamped my image from the Winter Fun Labrador and Kitty set with black Stazon ink on acetate. Then I applied glue and glitters on the reverse side of the image. I cut out my image leaving a narrow border once the image had dried. I also created faux glitter ribbon by applying the glitter to sticky tape. This is a fun way to cover the edges of the Cuttlebugged Snowflake panel. Love the crisp feel of this card and the fun color scheme!! A new Monday, a new week, and new cards. For today, I’ve been playing with my favorite character from The Rubber Café – the labrador. He is soooooooo cute!!! Here is the lab with the party hat from the Birthdays and Balloons set. Cuuuute sentiment too, from the same set. The lab is stamped on water color paper and colored with distress inks Scattered Straw and Vintage Photo. A clean and really simple card. Have a fab week!!! I'm loving summertime! Blogging today from a cabin we rent for a week each summer. I enjoyed the eyeful of beauty I saw at CHA in Chicago this week!! And now I'm looking forward to a week of watching butterflies and eagles and sunsets on the lake!! I colored my Large Highwing Butterfly with Copic markers and popped up the wings slightly for dimension. Wishing you all a peaceful week!